New satellite images from NASA have revealed unusual, massive patterns on the Earth’s surface. The geometric shapes are located in Kazakhstan, and are estimated to be up to 8,000 years old. 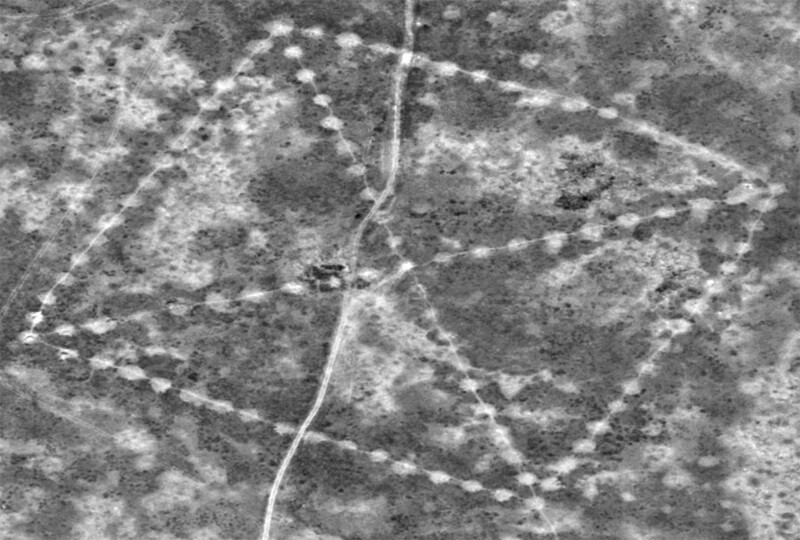 The massive earthwork patterns called the Steppe Geoglyphs were originally discovered by a Kazakh economist when he was browsing Google Earth in 2007. When browsing through an otherwise empty Central Asian landscape, Dimitriy Dey found intriguing markings in the soil. But the study of these mysterious constructs is ramping up, and even NASA has taken an interest. Two weeks ago, the space agency released clear satellite photographs of the figures from about 430 miles in the sky. “I’ve never seen anything like this; I found it remarkable,” Compton J. Tucker, a senior biospheric scientist for NASA who provided the archived images, told The New York Times. The images show colossal squares, crosses, swastikas and rings, some of which reach over a kilometer in length. The oldest of these geometric shapes are estimated to have been made 8,000 years ago – over three millenniums older than the Egyptian pyramids. The patterns are formed from uniformly circular mounds of dirt three feet high and thirty feet wide. There are at least 260 of the mounds, and they we described last year at archaeology in Istanbul as a previously unstudied phenomenon. Dey’s research suggests that the figures could have been constructed by the Mahandzhar culture, who thrived in the vast steppes of what is now northern Kazakhstan between 5,000 and 7,000 B.C. This is an unusual development, since experts otherwise wouldn’t expect that a nomadic population would stay in place for the significant time and effort required to make the huge mounds. 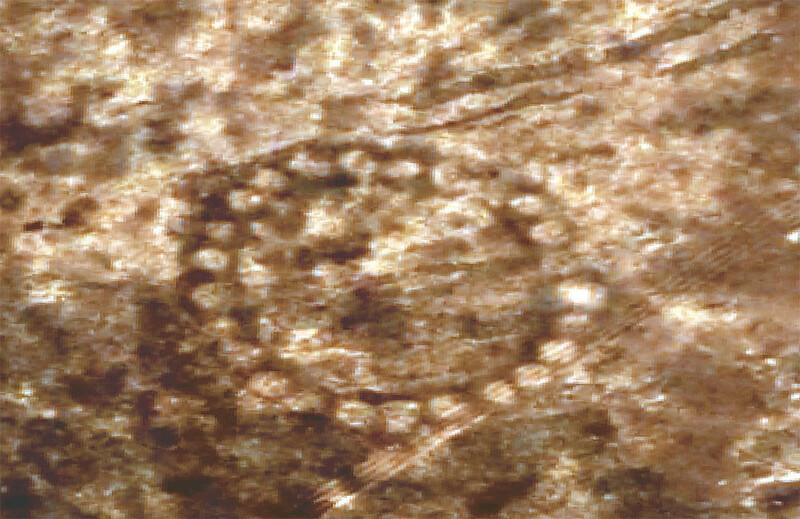 Indeed, University of Winnipeg archaeologist Persis B. Clarkson says that constructions like these and the similar Nazca lines in Peru are challenging prevailing views of early people and nomads. 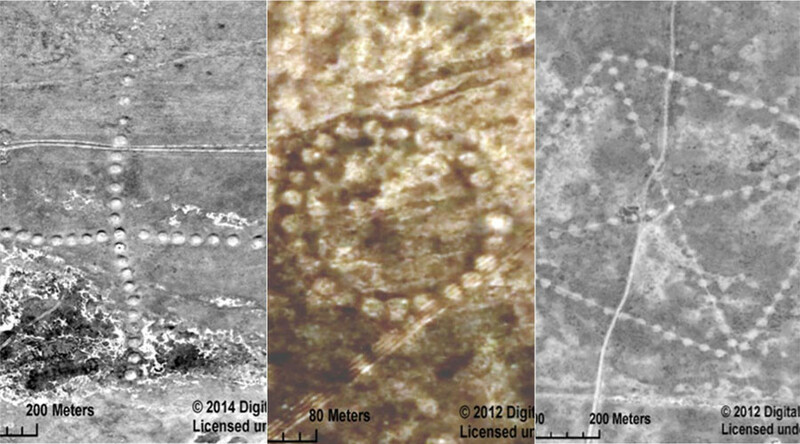 “The idea that foragers could amass the numbers of people necessary to undertake large-scale projects – like creating the Kazakhstan geoglyphs – has caused archaeologists to deeply rethink the nature and timing of sophisticated large-scale human organization as one that predates settled and civilized societies,” Dr. Clarkson said, according to The New York Times. 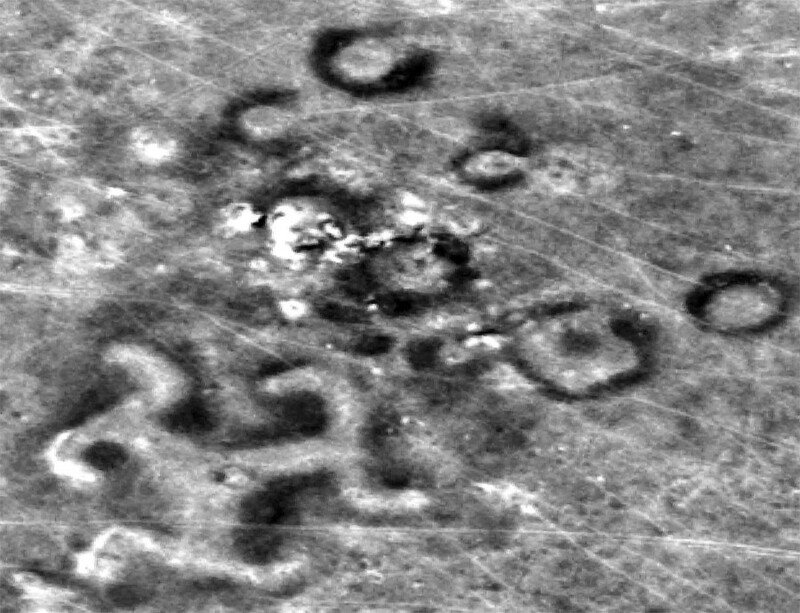 NASA has been setting some of its resources towards the study of archaeology for over 30 years, Gizmodo reported. In the 1980s, a radar scan by the Space Shuttle discovered ancient watercourses in Sudan. NASA and National Geographic collaborated in the 1990s to study the Maya civilization using advanced remote sensing technology.